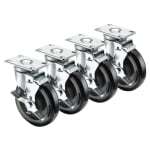 Krowne 28-113S 4 Piece Universal Plate Caster Set w/ 5" Wheel, 2.38 x 3.63"
4 Piece Universal Plate Caster Set w/ 5" Wheel, 2.38 x 3.63"
The Krowne 28-113S universal plate caster set has grease-resistant wheels that are 5 inches diameter. Brakes on the casters lock them in place to keep the equipment stationary during use. 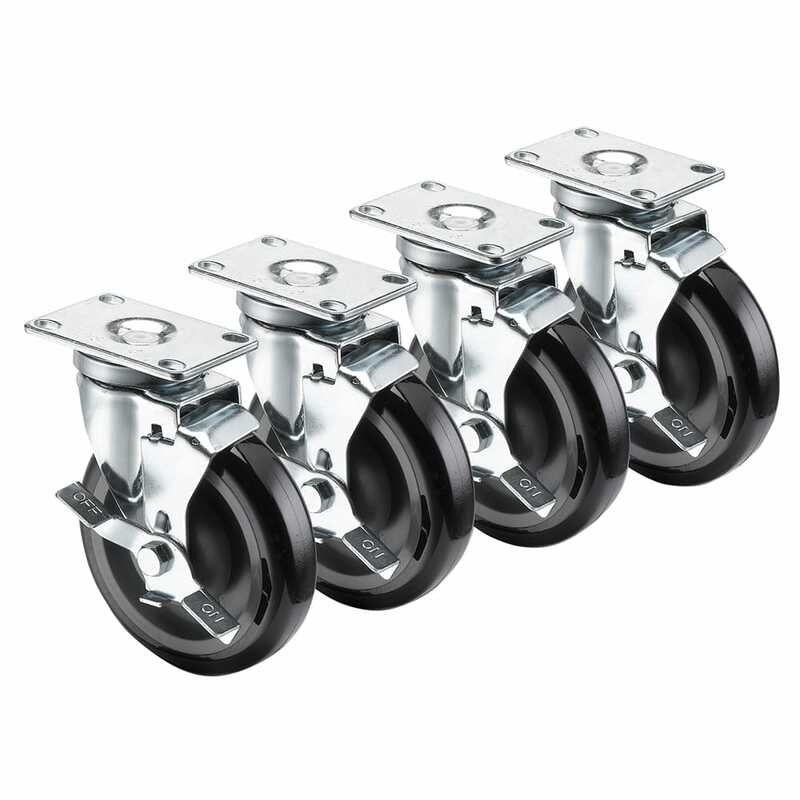 Each caster can hold as much as 220 pounds, and they are safe in temperatures from 14 to 212 degrees Fahrenheit. The Krowne 28-113S universal plate caster set fits on most manufacturers' equipment from ranges and ovens to worktables and fryers. They have 23⁄8-inch-by-35⁄8-inch plates that attach the casters to the equipment.